I first met Steph and Andrew last year. We went to Timezone. If that doesn't give you an idea of what kind of people these two are then I can't really offer up anything else. For their special day they wanted something simple and intimate. They got married surrounded by immediate family only at the Skillion in Terrigal Beach on the Central Coast of New South Wales. 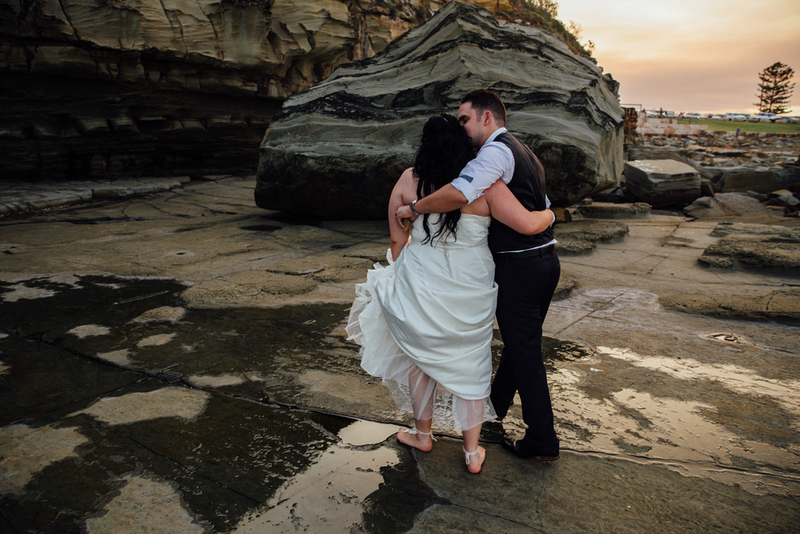 It was the perfect, love filled ceremony and we had fun exploring the rocks as the sun set over them for the afternoon.